Rascal Flatts still feels good! Rascal Flatts newest CD release, Still Feels Good, hits stores on Tuesday, September 25th. The band will take a week off from their hugely successful Still Feels Good tour to promote the launch of their latest CD project. Following their September 25th Good Morning America (ABC) and The Late Show with David Letterman (CBS) appearances, Gary LeVox, Jay DeMarcus and Joe Don Rooney will jet from New York City to visit with radio for a series of in studio appearances and acoustic performances. Over six days, Rascal Flatts will make stops in Philadelphia, Minneapolis, Dallas, Chicago, Atlanta, Washington D.C. and Cleveland. "I think lyrically this is the strongest album we've ever done," says Gary. "It's genuinely taken us to the next level. I think that in working with [producer] Dann Huff, the four of us have really got something special when it comes to capturing on CD what we do live. It perfectly captures the way we've grown as songwriters, as musicians and as people, and it's the proudest we've ever been of a project." Co-produced by Rascal Flatts and Dann Huff, Still Feels Good features 13 brand-new songs including the multi-week #1 smash “Take Me There.” Gary, Jay and Joe Don co-wrote five of the songs on the project including “Winner At A Losing Game” and “She Goes All The Way,” the duet with Academy Award® winning actor and singer Jamie Foxx. In the seven years since launching their career the band has sold over 15 million albums and scored 9 #1 singles. Rascal Flatts wrapped 2006 as the biggest selling artist across all genres of music. Their last CD Me And My Gang released in April 2006, selling 722,000 units in its debut week, the biggest first week sales for any CD in 2006. 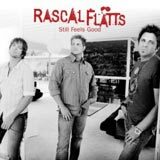 The band’s two most recent titles, Me and My Gang and Feels Like Today, are each certified quadruple platinum by the RIAA for sales of more than 4 million units while Rascal Flatts and Melt are both certified double platinum. 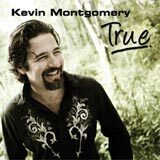 If you like Vince Gill, Jackson Browne and the Eagles, you have to discover Kevin Montgomery with this new album released on october 2006. Kevin Montgomery grew up on Nashville's Music Row, as a child of parents whose careers crossed over from country music to the early, seminal days of American rock 'n' roll. While the contemporary yet timeless feel of Kevin's own music is strongly influenced by the 'California Country-Rock' of artists like Gram Parsons, The Eagles, and Roger McGuinn, his deeply resonant songwriting recalls the Americana-flavored storytelling of Bruce Springsteen and Jackson Browne. Having spent the last four years of a decade-long career touring relentlessly and building an almost cult-like following in England and Europe, Kevin Montgomery offers up thirteen engaging stories of life, love, laughter and loss on his third album, 2:30am. A&M released Kevin's debut, Fear Nothing, in 1994 to critical acclaim, and after a year and a half of touring with Peter Himmelman, Sheryl Crow and David Crosby, he ended up back in Nashville. Kevin stayed on the radar by working on the 1996 Buddy Holly tribute album, Not Fade Away: Remembering Buddy Holly. He recorded the song "Wishing" (written by his dad) as a duet with Mary Chapin Carpenter (Bob Montgomery also co-produced the track). Kevin was increasing his profile as a songwriter for Martina McBride, Juice Newton covered Kevin's song ‘Red Blooded American Boy' for her 1999 release, American Girl. Kevin also sang backing vocals on Lee Ann Womack's ‘I Know Why The River Runs' for her platinum selling album, I Hope You Dance. New cd by Doc Kupka (TOP) and Strokeland Superband! 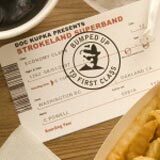 "BUMPED UP TO FIRST CLASS" is a collection of twelve hot new funk and soul tunes presented by STEPHEN 'DOC' KUPKA and featuring the STROKELAND SUPERBAND, Produced by DOC KUPKA and JEFF TAMELIER with Executive Producer CHUCK HANSEN. An amazing collection of musicians and vocalists are featured on this latest Strokeland Superband release. With lead vocals by HUEY LEWIS, EDGAR WINTER, LYDIA PENSE, MIKE FINNIGAN, JOHN LEE SANDERS, ALEX LIGERTWOOD, FRED ROSS, and the late FRANK BINER, these tunes will delight any die-hard Strokeland fan. None other than the legendary LENNY PICKETT plays all the sax solos on the cd, backed by an incredibly great sounding horn section featuring MIC GILLETTE, LEE THORNBURG, DAVID WOODFORD, CHUCK HANSEN, and of course, STEPHEN KUPKA, the FUNKY DOCTOR himself. A stellar rhythm section including DAVID GARIBALDI, FRANCIS ROCCO PRESTIA, CHESTER THOMPSON, MIKE FINNIGAN, JEFF TAMELIER, RON E BECK, and more lays down the grooves. JOHNNY LEE SCHELL and JEFF TAMELIER handled the mixing. A House of Hansen and Strokeland Records production, Bumped Up to First Class will have you groovin' like you haven't grooved in a long time. Singer-songwriter and guitarist Crosby Loggins has been around music his entire life, and has been making it almost as long. His songs flow in a wave of soulful vocals and seamless musicianship and always hit their emotional mark. This authenticity, combined with his innate sense of when to let the music be graceful and spare and when to propel it powerfully forward, is Loggins’ artistic signature. 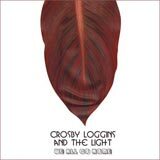 We All Go Home, the debut album from Crosby Loggins and The Light, is an eloquent statement of Loggins’ emerging vision. Featuring Crosby on lead vocals and acoustic guitar, the disc’s 12 songs also spotlight a stellar group of musicians he met through the creatively rich music scenes in Ojai and Ventura, California. Their musical and vocal synergy inspires his work, creating a timeless appeal and a genre-skipping sensibility that intersect effortlessly. Crosby co-produced We All Go Home with multi-instrumentalist Jesse Siebenberg, who is featured on electric and acoustic guitars, lap steel, dobro, percussion and more. Something of a prodigy, Jesse has played stadium shows with Supertramp (his father is the group’s drummer, Bob Siebenberg) since he was 16. In the more intimate atmosphere of Loggins’ music his talents shine. Paul Cartwright’s virtuoso string playing expands the music’s boundaries. His roots in Bakersfield, California led Loggins to drummer Jared Pope, bassist Forest Williams and keyboardist Dennis Hamm, who anchored Bakersfield’s funk-fusion phenomenon Mother Funk Conspiracy. They round out The Light’s line-up.stic dialogue. Crosby Loggins will play over one hundred dates with Bonamassa in the U.S. and Europe through early 2008. He will also begin touring as a headliner, including dates with his band The Light. The richly rewarding Grove House is her follow-up to Debbie Deane and her debut on RKM Records, a label run by the illustrious jazz saxophonist Ravi Coltrane. 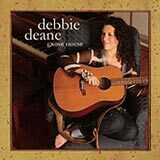 Once again, Deane brings warmth, sophistication and rock-n-roll edge to the table, leading a cast of fine musicians as she sings of love, ambivalence and freedom. Many of the songs on Grove House feature Deane in a tight small-band context. But even in the sparsest settings, she achieves a huge sound, with lush background vocals and expansive textures. She plays the piano and acoustic guitar parts herself. “I was a piano major at Berklee College of Music — I transcribed Miles and Herbie Hancock and the world opened up,” she recalls. Her tasty Fender Rhodes solo on “Bad Boy” is a case in point. But she sounds all the stronger thanks to a pool of fantastic musicians, including Brian Blade (Joni Mitchell, Bob Dylan, Herbie Hancock), Rodney Holmes (Santana) and Tony Mason (Joan Osborne, Martha Wainwright, Norah Jones) on drums; Jim Whitney (Andy Statman) and Richard Hammond (Erasure, Jonatha Brooke, Nellie MacKay) on bass; Chris Cheek on saxophone, Robin Macatangay (Cassandra Wilson, Harry Belafonte) on lead guitar, and Gilad (Al Di Meola) on percussion. Elie Massias produced seven tracks and played a number of instrumental parts. Deane co-produced four tracks with Dan Stein, who filled in on organ and guitar as well. Rich Lamb and Deane did the final mixes, plus additional arranging and production. Tower of Power released a new dvd "Live in Germany" and has gone back into the studio to record a new album! Also, Emilio Castillio has just completed production of singer songwriter Mark Dolin's new album "Lookin' At Tomorrow". Most of the songs on the record were co-written by Emilio. All ten tracks feature David Garabaldi on drums, Ray McKinley on bass guitar, with Mark Dolin, Mike Bogart and Emilio on horns. The album is scheduled to be released in the beginning of October. 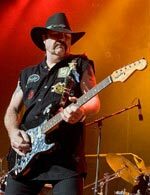 Hughie Thomasson (1952 – September 9, 2007) was a guitarist and singer best known for his work with Southern rock band The Outlaws. He wrote most of the songs for The Outlaws including their three biggest hits, "Hurry Sundown", "There Goes Another Love Song," and "Green Grass and High Tides." After The Outlaws disbanded in the early 1990's, Thomasson joined Lynyrd Skynyrd as a third guitarist from 1996 until 2005. He left Lynyrd Skynyrd to reform The Outlaws. Thomasson died from a heart attack on the night of September 9, 2007 at his home in Brooksville, Florida. Return of Lou Gramm with a new album soon! Lou Gramm (Foreigner) is finishing his new album to be released on Spectra Records. Also Warner Music Group will be releasing a compilation of Lou's recordings this summer on Rhino Records as part of their Flashback series. Darren Hayes was the singer in Australian pop duo Savage Garden. He was the writer and singer of the kind of evergreen worldwide smash hits that will be played as long as AC has a spot on the radio’s dial. They were neither fashionable nor critically feted, but Savage Garden was an enormously popular operation. From the four albums that he has crafted so far – two with Savage Garden, two solo – Darren Hayes has sold more than 25 million records. He broke the record he himself set with Truly, Madly Deeply as most played record on adult contemporary US radio with the further release of 1999’s ‘I knew I loved you’. There is not a country in the world that enjoys English speaking pop music that he has not had a hit in. Darren Hayes has dined with Madonna and duetted with Pavarotti. He is the third most popular Australian musical export of all time. Only INXS and Kylie trump the pop Midas touch that few give him proper credit for. 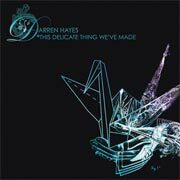 'This Delicate Thing We've Made' is released on Hayes' own label, Powdered Sugar, and is the record he has wanted to make for years. Now he is his own boss, he's doing everything his own way. The album is a double-disc pop opus. It is a deeply felt, moving, and joyous celebration of life and of pop music. Though the tracks vary in style and genre and form a whole that is one of the most enjoyable and one of the most intelligent pop albums of the last decade. In terms of style, there is pure pop celebration here, in the form of songs like "Listen All You People", "Tuning of Violins" and the first single "On the Verge..." "Casey" proves that melancholy, yearning lyrics don't have to be stuck on ballads, but can be sung over up-tempo synth-pop to heart-wrenching effect. In tracks like "Bombs Up in My Face" and "Me, Myself and (I)" Hayes is channeling Prince at his funkiest best. For the first time in over three decades original 10cc members, Kevin Godley and Graham Gouldman, have reunited to record new music. Best known for such classic 10cc hits as "Rubber Bullets", "I'm Not In Love" and "Things We Do For Love", as well as Godley and Creme's mega-hit "Cry", Godley and Gouldman have recorded five new songs available for download on their official website www.gg06.co.uk. Kevin Godley, former half of the pioneering duo Godley and Creme, who has also directed and produced some of the most successful music videos in rock and roll for such artists as Duran Duran, U2, Peter Gabriel, Herbie Hancock, Rod Stewart, Keane and The Police to name just a few, graces all five tracks with his tremendous voice - arguably one of the great vocalists in music today. "I always figured Kevin had the best voice in the band," complements Gouldman, "ironic that he never sang lead on a 10cc single… Even I managed that. Now justice has been done. Kevin's voice and razor sharp lyrics take us places we haven't visited before… Always a good place to start!" Graham Gouldman, a prolific songwriter since 1965, who still maintains a touring 10cc, before joining the band penned such classic songs as "For Your Love", "Heart Full Of Soul" and "Evil Hearted You" for The Yardbirds, as well as "Look Through Any Window" and "Bus Stop" for The Hollies and "No Milk Today", "Listen People" and "East West" for Herman's Hermits. He has also worked with the likes of Andrew Gold and The Ramones. "It was exhilarating to hear a haunting Graham Gouldman chord sequence," says Godley about their recent collaboration, "wrap some words around it and feel something actually come to life, in real time, again. These first five tracks are pretty lean by our previous standards. They're more heartfelt, focused, less layered and lyrically they're tougher." Why a reunion now after so many years? "In a nutshell… unfinished business," explains Godley. "In all the years we've known each other we've only written three pure, Godley/Gouldman songs. That, and a desire to find out if the music muscle still worked with someone I enjoyed and didn't have to spend weeks getting to know." Upon listening to the duo's new work unquestionably the spark is still there, picking up where they left off in 1976 but with a newly found, contemporary edge. Says Gouldman, "Kevin and I have always stayed in touch even though we haven't actually worked together for many years, so I was delighted when he called to suggest we write some songs. When I asked 'Why?' He said, 'No reason… just to do it and see what happens.' A good enough reason for me!"